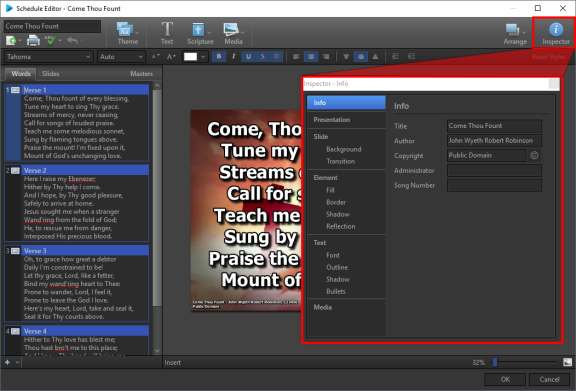 The inspector is available from the Song Editor, Presentation Editor, Theme Editor, and Schedule Editor. It allows you to make additional formatting changes to selected elements. For more information about all the features in the Inspector window, see the online help file at www.easyworship.com/help, select the General menu, then Inspector.